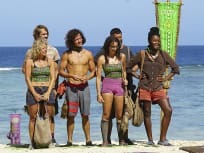 "I'm Going for a Million Bucks"
On Survivor: Millennials vs. Gen X Season 33 Episode 14, the final three castaways end up being questioned by the jury before they cast their vote. On Survivor Season 33 Episode 13, there was much drama when the contestants reeled in the aftermath of what went down at the latest elimination. 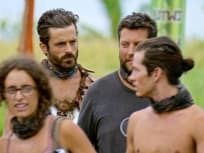 On Survivor: Millennials vs. Gen X Season 33 Episode 11, members are on the verge of a fight as yet another castaway will be voted out of the game. On Survivor: Millennials vs. Gen X Season 33 Episode 10, each player tries to find their own allies when a power struggle erupts between castaways. On Survivor: Millennials vs. Gen X Season 33 Episode 9, one player refuses to "drop the ball" when immunity's on the line while others use secrets to get ahead. On Survivor: Millennials vs. Gen. X Season 33 Episode 8, the newly-merged Tribe reunites and the players compete in another challenge before the vote. 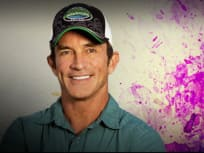 On Survivor: Millennials vs. Gen X Season 33 Episode 7, another castaway feels the heat when they are interrogated, while two players decide to work together. On Survivor: Millennials vs. Gen. X Season 33 Episode 6, an immunity idol is found, and Figgy and Taylor regret not revealing their romance to their tribe. 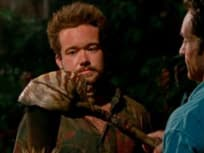 On Survivor Season 33 Episode 5, tensions flared when it became apparent that one of the immunity idols were missing, forcing people to question alliances. "Who's the Sucker at the Table?" 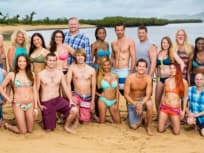 On Survivor: Millennials vs. Gen X Season 33 Episode 4, two of the castaways are out to get revenge after being blindsided by those believed to be allies. On Survivor: Millennials vs. Gen X Season 33 Episode 3, balance is tested at a difficult immunity challenge, and castaways get to know their enemy. 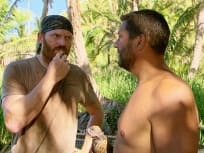 On Survivor: Millennials vs. Gen X Season 33 Episode 2, heat exhaustion affects one player while a castaway dons his "love goggles" about another's beauty. "May the Best Generation Win"
On Survivor: Millennials vs. Gen X Season 33 Episode 1, a cyclone hits Fiji and forces the two new teams, who are split between generations, to evacuate.